Hot Dogs & Guns: Don't mess with Grandma...she might be armed. 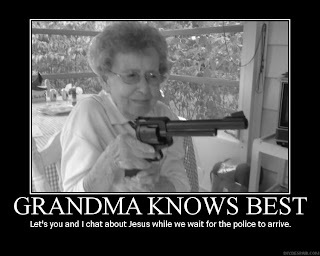 Don't mess with Grandma...she might be armed. Grandma Knows Best Let's you and I chat about Jesus while we wait for the police to arrive.